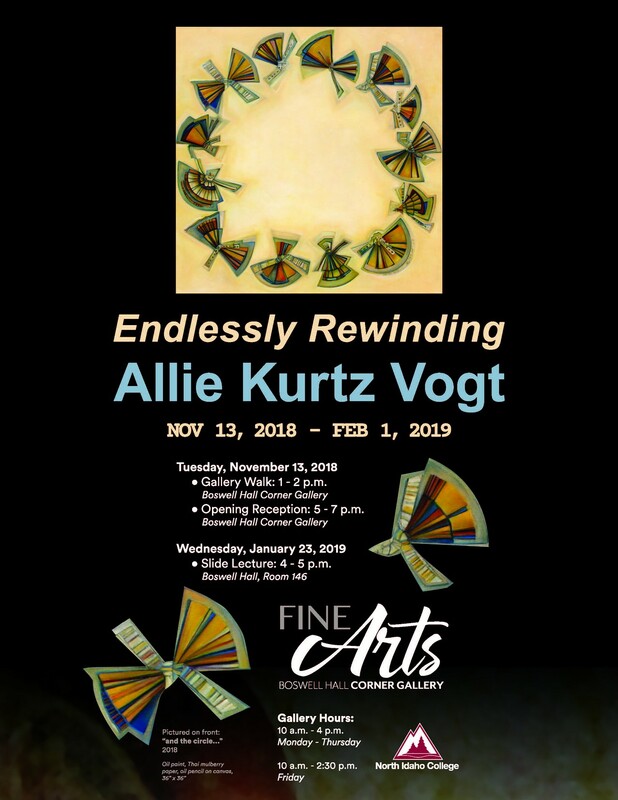 Paintings and drawings by the former NIC faculty member and artist featuring 24 new paintings in oil and pencil on canvas that integrate a range of special papers and other materials, along with 20 works from her personal collection. Nov. 13-Feb. 1, 2019; Mon-Fri 10 am-4 pm. Reception Nov. 13 from 5-7 pm; gallery walk 1-2 pm. Lecture Jan. 23 from 4-5 pm. Campus closed Nov. 21-23, Dec. 25-Jan. 6.